For a price that a qualified buyer is willing to pay, and at the price a seller is willing to accept. Right. Last summer a San Francisco house on the same block as mine with a similar floor plan sold for 1.7 million. I really don't know how long this will last. 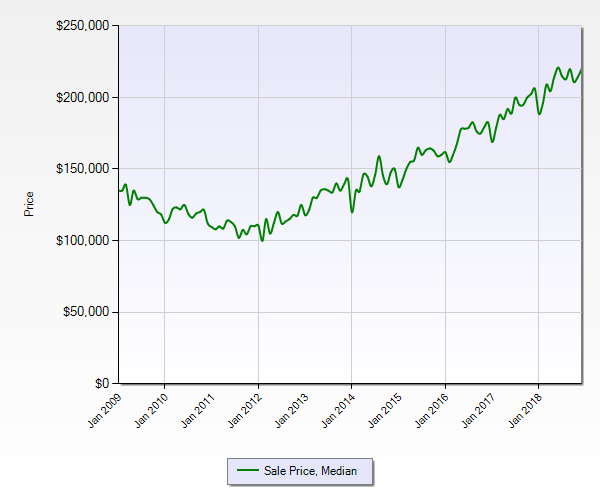 I don't expect home prices in SF will ever return to what I paid for the house in 1996 ($250,000.) However, if prices do drop it will be by several hundred thousand dollars at least. So I am getting out now while it is still a sellers market. Media sales have fallen a bit but the bubble still exist in many hot spots. If you live near major job hubs it's not going to end anytime soon. I don't know if this will be of much comfort to you but I thought you might like to see a historic trend graph for Lake County sales. I don't know the area so I don't know what is happening on the ground but this looks pretty good. Last edited by bbronston; Yesterday at 09:50 AM..
What bubble? All data for the past several years has shown a short supply of housing. With that being said, you always have markets here and there where morons run the prices up trying to flip or there is some sort of local hype that doesn't pan out. 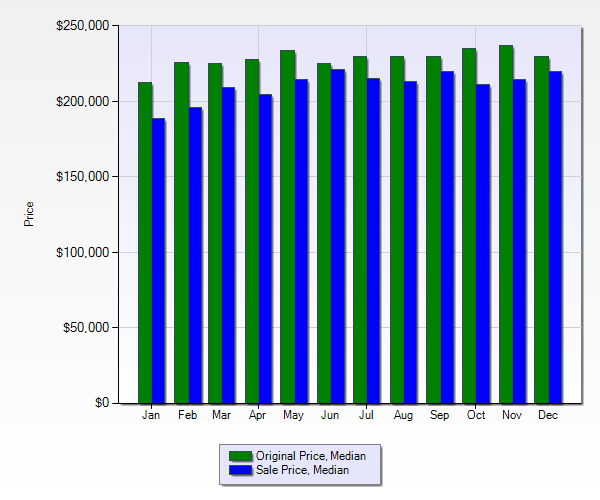 Also, home sales just about always slow down through the holidays and winter and then pick back up. Last edited by TimtheGuy; Yesterday at 10:04 AM..
Housing market will never crash again. Prices are still on the rise, homes are selling, life is great. We won’t have another real estate crash like 2008 again sorry to disappoint! That's what they said after the savings and loan debacle in the 1980s LOL. The only thing we learn from history is that we don't learn anything from history. And this is exactly why crashes happen. People have short memories, I’ve experienced 3 recessions now and each time they said it wouldn’t happen again. People believe property will continue to rise, it never does, it goes up and it comes down again, call it bubble, cycle or boom it’s all the same. People panic and jump in, just like a ponzi scheme, leaving the winners the ones who got in first and the losers the last to join. We are now at or approaching the end / top of the current cycle, people have overstretched themselves and interest rates are rising, the jobs market will slow and property prices will fall like they always do. Last edited by britinspain; Today at 03:26 AM..